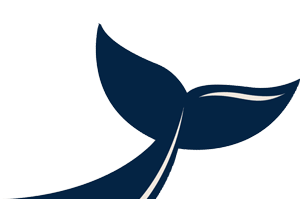 The ocean is a strange place — and not just because of the unusual animal species inhabiting it. The ocean is full of life, but not all of it is animal. An important part of the ocean's health and survival depends on the plants and other algae life that live there and serve an important role lower down the food web. There are plenty of plants in the ocean, as well as some plant-like species that are technically protists and do not have roots or leaves. Here are some of the weirdest plants and protists in the sea. These bright algae are often found coating corals in the ocean, creating a cement-like layer that protects the corals and attracting lots of ocean life that feed on the algae. 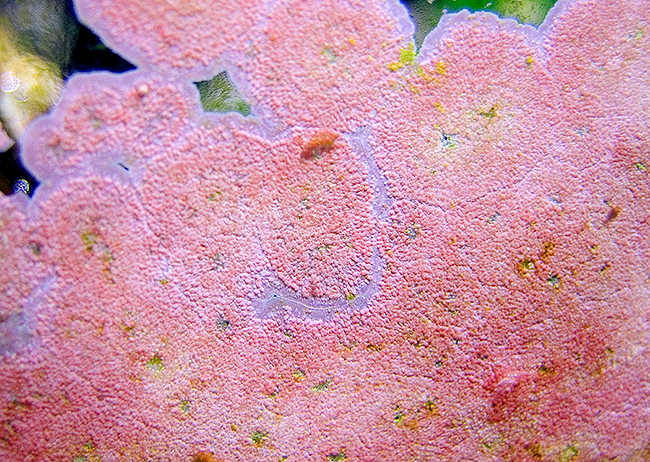 Coralline algae comes in many different colors, like the pink one pictured here. Giant kelp is the largest seaweed species, and one kelp can grow to be over 100 feet tall. These seaweeds, which grow in large kelp forests in the ocean, have faster linear growth than any other living creature on Earth. Killer algae is an invasive species that, as you can guess from its name, causes serious harm to ocean life, as it contains a chemical noxious to the fish that eat it. 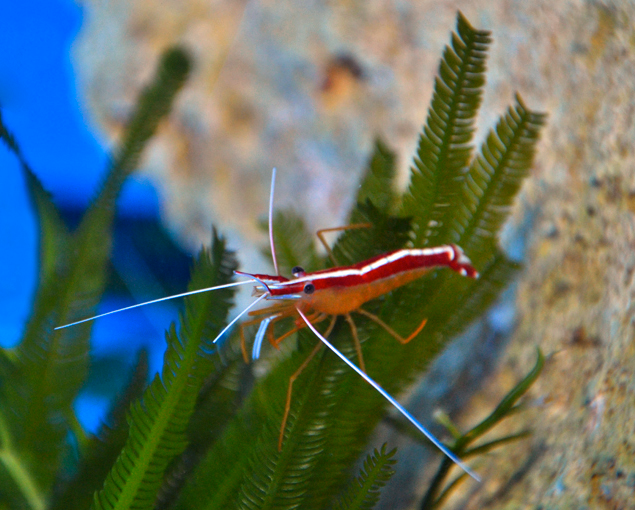 A native of the Indian Ocean, the species has accidentally made its way into the Mediterranean Ocean in the 1980s and the waters off California in 2000, and has been called one of the worst invasive species (though it was eventually eradicated from California in 2006). 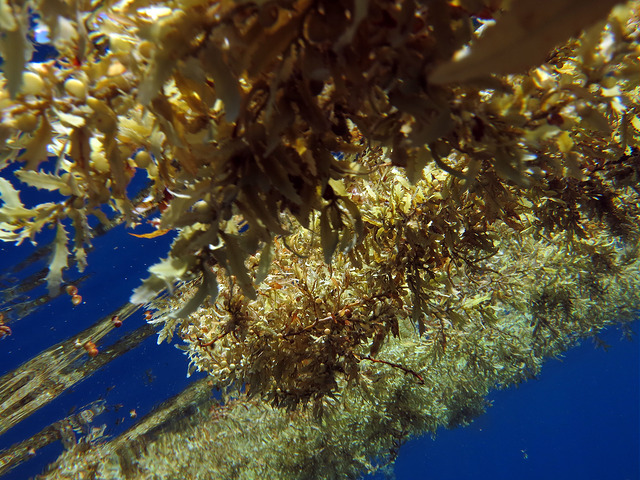 Sargassum is another problematic ocean seaweed species. In recent years, thick clumps of the stuff have washed ashore and been deadly to wildlife, and have been difficult to manage on beaches. Underwater, though, these crucial floating blooms are important habitats and nurseries for fish species, as well as a food source for endangered sea turtles and tuna. 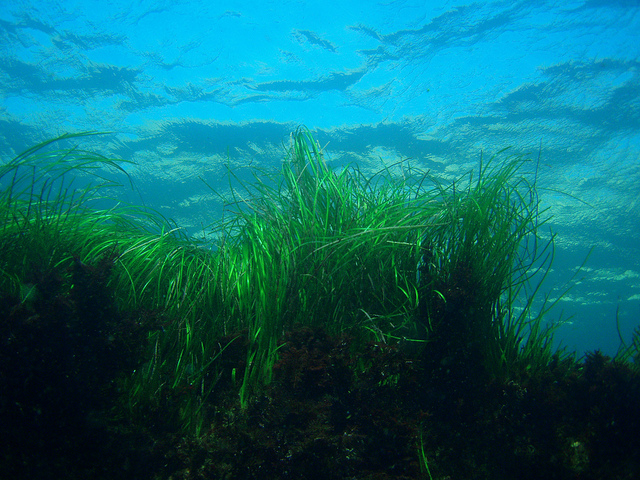 Seagrasses are flowering underwater plants (they're actually plants, with roots in the ocean floor), and there are over 70 different species around the world. Countless species depend on seagrasses for food and shelter, and some seagrass beds are so large and dense they can be seen from outer space. 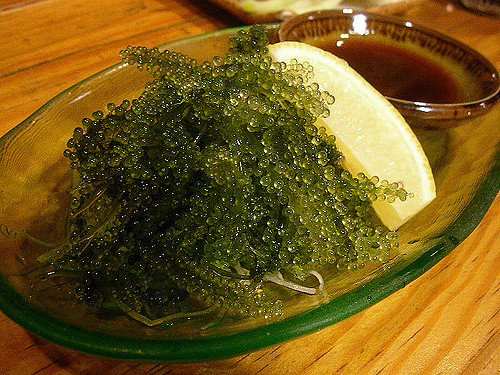 Also known as "green caviar," this weird species is actually an edible marine plant named Caulerpa lentillifera. These plants grow in intertidal zones, close to mangroves, and are eaten raw as a snack in the Philippines and Japan. Translated from Greek, phytoplankton means "plant wanderer." These microscopic organisms, which photosynthesize like plants, are a crucial part of the entire marine ecosystem. Phytoplankton are the foundation of the food web for most ocean life. Though tiny, they are significant. 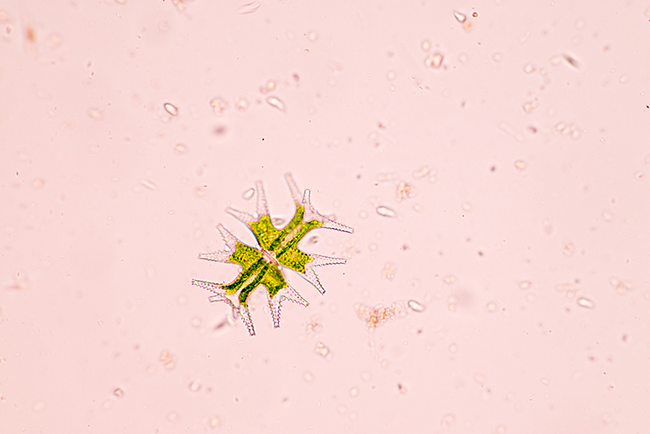 There are many different types of phytoplankton, and up close you can see how diverse and beautiful they are. To further appreciate the beauty of all the ocean's plant life, watch this stunning video that shows the graceful underwater movement of grasses and algae.